We are happy to announce that the Team Registration for the 2018 IFMA World Championships is officially OPEN!! 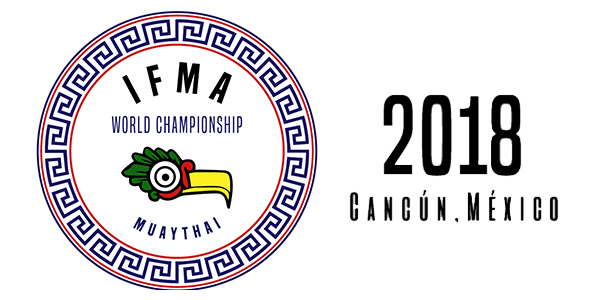 Cancun will be known in the history of IFMA as the first city to host World Muaythai Championships in the Pan-American Continent. From 10 to 20 May the Oceana Hotel in Cancun will become the center of Muaythai universe where top athletes from the entire world will come to challenge and defend titles of the World Champions. The capital of the Mexican Caribbean welcomes you to show you its funniest, most beautiful and kindest face thanks to the hotels and resorts of Oasis Hotels in the city center and in the emblematic Kukulcan Boulevvard. You choose. Cancún is served by the Cancún International Airport It has many flights to North America, Central America, South America, Asia, and Europe. The airport is located around 20 km (12 mi) from the hotel zone, approximately a 20 minute trip by car. Cancún is also served by three private bus lines that connect it to the downtown area and the “hotel zone” as well as more distant destinations such as Playa del Carmen and Tulum.